After the worldwide success of "Emotional Mentalism", Luca Volpe is back with the second volume which contains brand new routines for the serious mentalist and psychic entertainer. All of the routines have been tested hundreds of times, on people from all around the world, in his private and public performances. Each routine includes a full script that covers all the psychological nuances. Tarot cards, pendulums, crystals and much more, in a book that will change the way you perform mentalism. Entertain your audience, in a new and emotional way. Also included in this book, you will find contributions from the greatest minds in psychic entertainment today. A psychic plot on Any Card at Any Number with a multiple revelation finale, that involves all of the audience. A Greatstart to any show! A very deep, emotional and powerful psychometry routine with a meaning. Very entertaining and empowering for your audience! A new touch on the "which hand plot" with multiple revelations, a great way to energize your audience. A very entertaining routine in which you will be able to demonstrate the power that each of us has to attract money. A beautifully scripted routine with a serial number revelation, a wonderful way to use the pendulum and the haunted key too! This is my "emotional confabulation" routine that I have been performing for many years on cruise ships. A gift box will remain in full view and, through a relaxation and visualization process, a lady from the audience will give you some information which will be revealed in a prediction that has been in the box on the table. No assistant needed! I have performed this for years and it is one of my favorite pieces! A spectator becomes the mind reader and will be able to guess a thought of word from another memeber of the audience. The script is beatifully constructed and covers all the psychological nuances! Very powerful. A strong and emotional routine, in which a lady writes her dream on the surface of a lock and will be able to find the key that opens the lock, through the use of her subconscious mind. This story developed from something that really happened to me and it has the abillity to really change the life of the person involved. You don't need a special lock to do this routine, everything is examinable, you can even give the lock and key as a souvinir. A routine which involves tarot cards, a pendulum, and pictures from audience members. 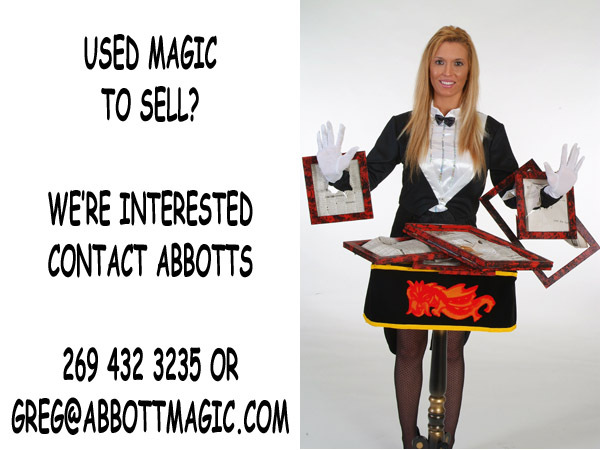 A strong routine with an incredible finale!Perfect for psychic parties and for advertising purposes. I was reclutant to tip the secret of this routine! It is a multiple revelation chair test in which a spectator becomes the psychic! This is the perfect example of how a simple method can become a great routine with a deep meaning. After a relaxation and energy cleaning process, you will be able to predict the position of three crystals that a lady from the audience places in her hands. What you do when a spectator ask to read his mind? Well know you can!